If the changelog states any changes the config, delete your old DT config before complaining. 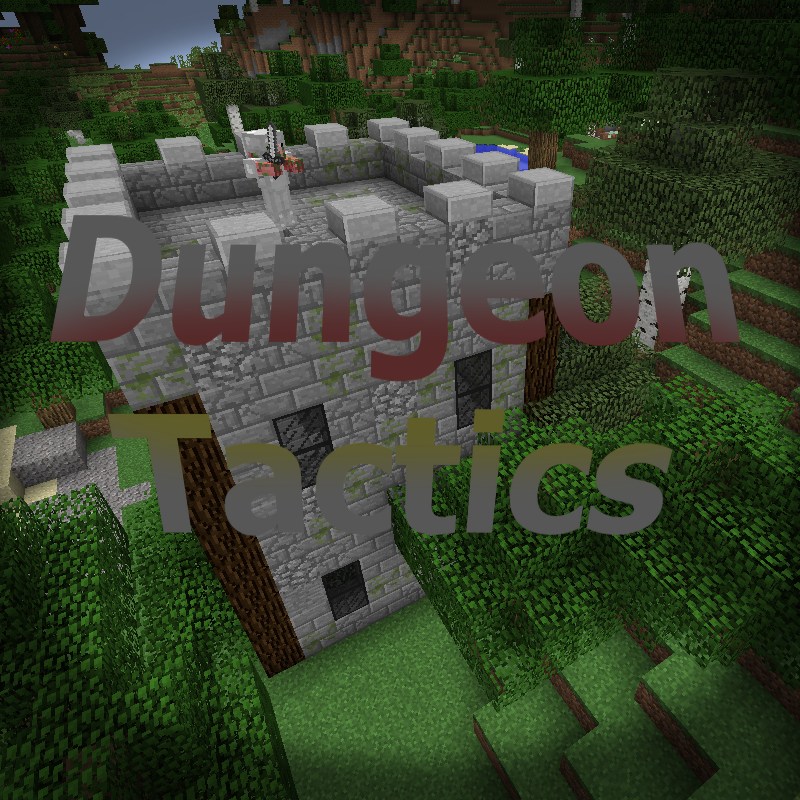 Dungeon Tactics is a gameplay focused mod. Adding new types of melee weapons, new ranged weapons, and new tiers of armour and tools. Aswell as craftable traps to help you defend your base. Along with Towers and randomly generated Dungeons. All that and some other fun things. I have tried to keep it in the feel of Minecraft, rather than attempt to change the game on a large scale, but add some new ways to play. This is not and end-game mod, but aims to add variety to the game. I aim to make sure things work as intended before adding anything new, so please report any bugs you find. - The slingshot uses several different ammo types, so experiment with things you think a slingshot could shoot. - The new armours make up for their lower physical defence in other ways. You may use Dungeon Tactics in your modpack, if you have read the description and give credit where applicable. If you think you have found a bug or issue, make sure you are using the latest version and have read the description BEFORE sending me a bug report. I am regularly tweaking and balancing, as well as trying new ideas, so check back from time to time. I am also welcome to your suggestions. Hey I'm play the mod pack life in a village. I'm trying to use the duck tape to repair a special pixaxe that I got from a loot bag. I've tried using it in ether hand and I still can't get it to work. This is my first mod pack and using any mods. I don't if I'm doing something wrong or what or is there any other way to repair items. If you can help I'll really appreciate it and thank you. If you did not make the modpack, the item you are trying to repair may have been black listed in the config. Or, it may be that the pickaxe is not recognised as a tool, in which case you can whitelist it in the config. If you still can't repair it, I will need to know what mod the pickaxe is added by, so I can look into it. I have also tried it on the iron and gold axe and still wouldn't get it to work. And I don't know how to access the config. Before this mod pack I was only playing minecraft on my phone. I'm a big noob to the java version and mods in general. That you for helping. To access the config, you need to go to the .minecraft folder in appdata - there are plenty of tutorials on how to do this. Once you have located the Dungeon Tactics config file, just open it in a simple text editor (notepad). Which modpack are you playing with? Its called "life in a village". Hi, I'm wondering how I get further volumes of the "Dungeonpedia". I'm trying to learn more about some of the enchanted books I've gotten as they don't appear to be able to be applied to any tool, armor, or weapon. The tooltip says to read volume 4, but I can't find that item in my JEI or craft it, I can only craft volume 1. Any ideas? Thanks so much. You should be able to craft all volumes of the Dungeonpedia in the vanilla crafting table, with books and various mundane items; such as cobblestone or rotten flesh. I keep crashing when I brake feather flower. I need a crash log if you expect me to help. What are the small Heart Drop Items used for? I cant find a recipe to use them for as i got a ton from my mob grinder. I found a crash when you use a weapon from this mod while climbing a ladder is there a fix? I would need a crash log. Please open a new issue in the tracker and post the crash log there. Edit: I will also need to know what weapon you were 'using'. How does one repair jeweled and gilded equipment? What item takes Jump boost II as an enchantment?